For Army dads, it can be difficult to know their babies are being born hundreds, or even thousands, of miles away while they’re serving our country. But thankfully, Brooks Lindsey got a rare view of the birth of his daughter via a Facetime interaction graced by the patient souls stewarding the homebound plane he was scheduled to board this week. Brooks discovered his daughter Millie was coming earlier than expected, so he rushed from his training station in El Paso to a hospital over 1,000 miles away in Brandon, Mississippi. This father-to-be was DETERMINED to witness the birth of his baby girl at all costs. While he intended to be holding his wife Haley’s hand as she brought their newborn into the world, his travel plans threw him a couple curveballs when his flight got delayed TWICE due to maintenance issues. “Friday morning my water was broken at 7 am and Pitocin began. Brooks got to the airport in El Paso and boarded his plane at 10 am (mountain/daylight time) 11 am central time. He called me as soon as that flight landed in Dallas at 2:38 central time and I was 5 centimeters dilated. 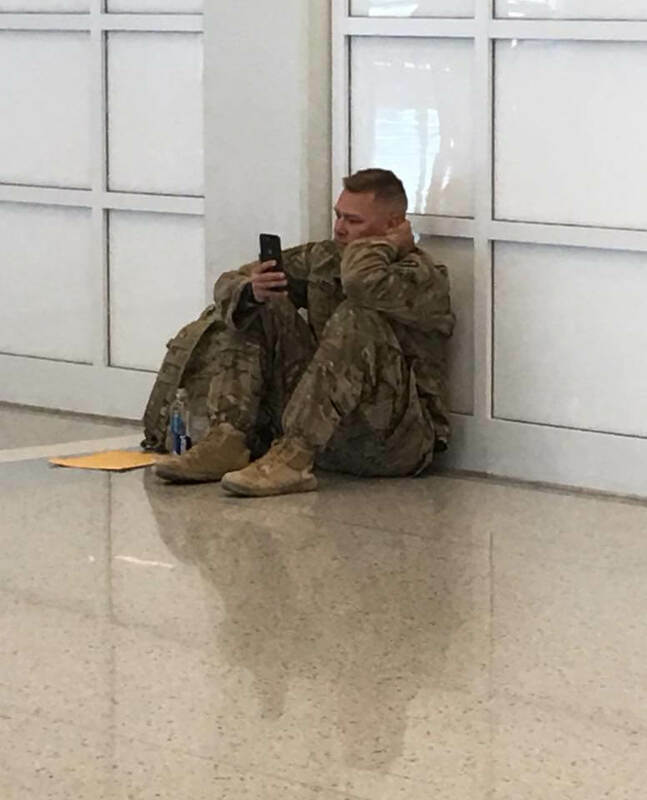 He was scheduled to take off at 3:55 but LUCKILY his flight was delayed to 5:45. Without that delay Brooks would have been in the air and unable to FaceTime! I quickly made my decision on who would be in the room during labor and it was my step mother, Dee Anne and my mother in law, Teresa! The Doctor came in to check me at 5:00 and she said it was go time! “(Millie was delivered by a different Dr. who was not aware of the situation) My Doctor told her to pull the phone out and show him what was going on. Brooks was telling me it was okay, and I was doing so good and I heard him wincing and saying ‘wow!’ through my pushes. I could hear people in the airport talking and cheering! 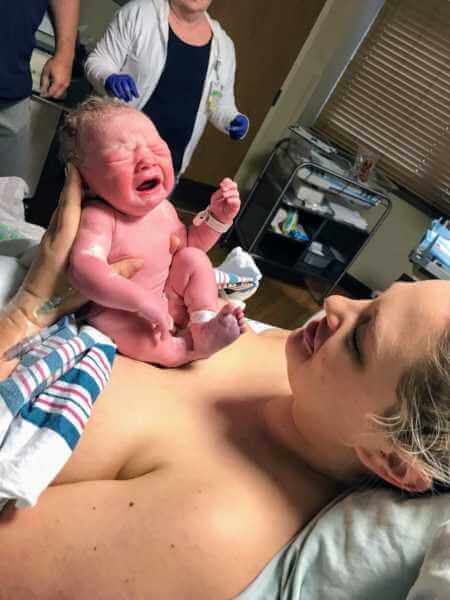 Another passenger, Tracy Dover, captured the proud father’s emotional reaction to Millie being born. “When we heard the baby cry, then just that whole section that was heading to Mississippi just started cheering,” she added. The breathtaking moment has since been viewed by thousands of people across the web who have been captivated by this father’s joyous moment.